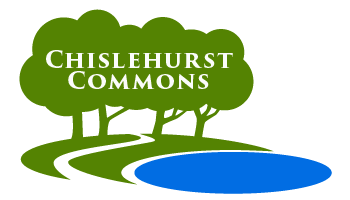 Come and meet the Trustees on the Chislehurst Commons stall. A walk through the grasslands of Chislehurst Common – a chance to see the wildlife that lives there. A free guided tour by the Head Keeper. Meet at Prickend Pond, near the Queen’s Head. No need to book. Tickets for an outdoor screening of Mamma Mia now available via the Visit Chislehurst website. Also available on the door. All profits go to Chislehurst Commons. We are hosting a FREE family activity morning on 27th July to help children learn about, and be inspired by, their natural surroundings. A full marathon organised by Bridge Events Dartford. The 26.2 mile course will be entirely off-road through the Commons and Scadbury Park. Due to the high level of demand, a half marathon will also take place on the same day. Full information is available on the Bridge Events website. A free guided tour by the Head Keeper. Meet at 2pm outside the Bull’s Head on Royal Parade. No need to book. The 9th Chislehurst Chase organised by Bridge Events Dartford. The 10k event is entirely off-road through the Commons and Scadbury Park. There is also a 2k event for children. Entrants must register beforehand via the Bridge website. Chislehurst Common will once again play host to the annual Big Draw arts festival. This award-winning family event will take place on 30th September between 1-5pm on the area of the Common between Manor Park Road and School Road (BR7 5PQ). This year’s theme is ‘Our World in Common’, an opportunity to create traditional crafts and art from around the globe. Come and see how the wetland areas are developed and maintained. A free guided tour by the Head Keeper. Meet at Prickend Pond, by the Queen’s Head. No need to book. A brisk walk around the boundaries of St Paul’s Cray Common – come and see how far it extends and where it meets Scadbury and the National Trust land. A free guided tour by the Head Keeper. Meet outside the Bull’s Head on Royal Parade. No need to book. Event organised by The Friends of Scadbury. An opportunity to see some of our conservation work on St. Paul's Cray Common.